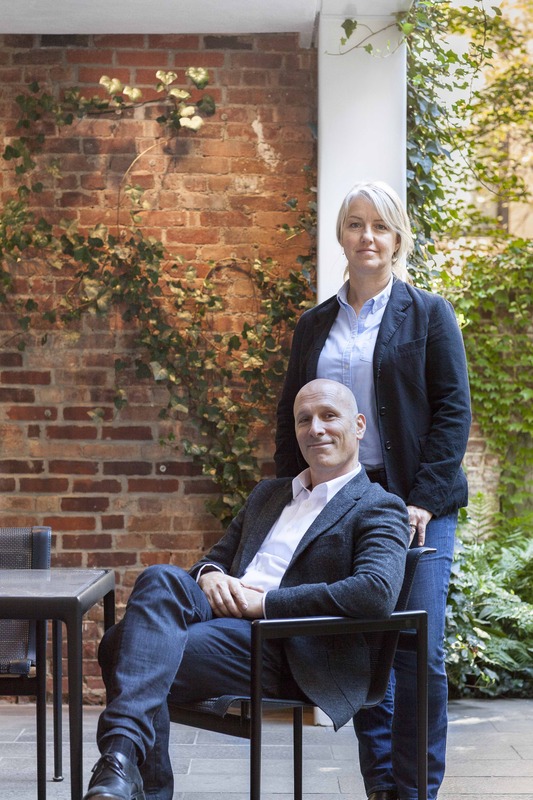 Christoff:Finio Architecture (C:FA) is a New York-based architecture and design studio committed to making buildings and environments that bring meaning to place. We make physical and cultural connections in our work as a way to help shape the public and personal space of memory. We take great joy in exploring a contemporary language of architecture rooted in material expression and intellectual rigor. This approach is realized through collaboration with a broad group of forward thinking clients and consultants. For more than a decade, the exploration and analysis of the principles of C:FA have been fostered through Martin Finio’s teaching at Yale University Graduate School of Architecture. There, in his design studio and in the course he created entitled “Systems Integration” Finio has brought together some of the finest specialists in their respective professional fields, from structural and sustainability experts, to façade and lighting designers. The office continues to benefit from these established and evolving relationships. C:FA’s work has been exhibited internationally, including at the American Academy of Arts and Letters in New York, the 2012 Architecture Biennale in Venice, Italy; “The City and The World” at The European Center for Architecture Art Design and Urban Studies and The Chicago Athenaeum in Madrid, Spain; 414 Gallery in New York City; “Insight USA – Shaping the Future” at the Aedes Gallery in Berlin, Germany; “Young Americans. New Architecture in the USA” at the Deutches Architekturmuseum in Frankfurt am Main, Germany; “Liquid Stone: New Architecture in Concrete” at the National Building Museum in Washington, D.C.; and “City Lights Design Competition Exhibition” at the Museum of the City of New York in New York City. Taryn Christoff received her undergraduate degree from the Illinois Institute of Technology in 1984, where she drew her strength and inspiration from the design legacy of Mies van der Rohe. Working with her husband Martin Finio since 1999, Christoff has led design and consultant teams to construct corporate and commercial interiors, institutional projects and new residential projects. Her experience includes retail design for Steven Alan and Calypso, headquarter design for the Heckscher Foundation and Todd Hase, and several residences located in urban and natural environments. She has been a registered New York Architect since 1992.